Represented a charter school with obtaining a $500,000 loan from the South Carolina State Treasurer, which was the first of its kind. Represented investor groups for the acquisition of investment commercial real property, including due diligence, lease and title matters. Represented developers of commercial property in land use and zoning issues before local government commissions. Represented restaurant group regarding commercial lease and sublease negotiations. Represented national bank in a variety of complex lending structures, including drafting custom loan and security documents. Represented an international corporation in the purchase of site for major industrial facility. Oversaw all aspects of real estate purchase and title matters, including subsequent construction loan. Represented real property investors purchasing real property in South Carolina through 1031 exchanges, including a variety of retail locations. Represented national non-profit with purchase of property used as corporate headquarters. Represented lenders in refinance and restructuring of multi-million dollar loans to businesses in the Upstate. Served as interim County Attorney for one of South Carolina's fastest growing local governments. Drafted a variety of local ordinances, including zoning, land use, building codes, and procurement. Adam is a member of Burr's real estate team. Both innovative and practical, Adam focuses his practice on commercial real estate, local government and economic development. Through his experiences running several businesses before his career with McNair, Adam understands the challenges businesses face on a daily basis. Adam regularly assists buyers, sellers, developers, and others with all types of commercial real estate. He also represents lenders in connection with loans secured by real estate. He has prepared and negotiated purchase and sale agreements, commercial and retail leases, restaurant leases, and a variety of ancillary real estate related documents. Adam counsels a wide array of clients in the United States and internationally who are looking the acquire or dispose of retail and industrial properties in South Carolina, and is also involved in formation issues, including South Carolina corporate structures. 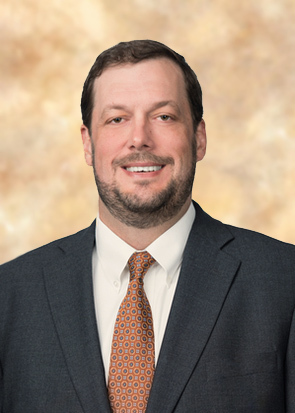 In addition, Adam has extensive experience in South Carolina economic development, local government law, contracts, intergovernmental cooperation, zoning and land use, and code and ordinance interpretation. Adam has placed an emphasis on client satisfaction throughout his legal career. He recognizes serving the client is essential for a successful law practice and firm.